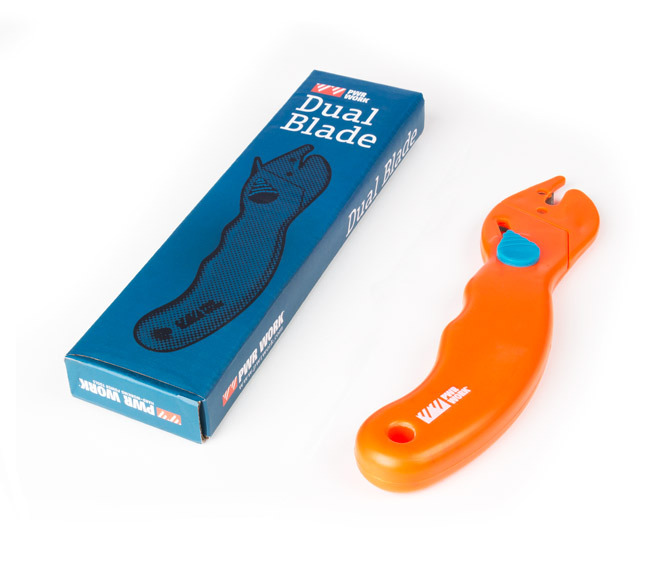 The innovative Dual Blade is designed to reduce friction when cutting, allowing you to make faster and smoother cuts. Its ergonomic handle makes it a very convenient, safe and effective tool. Approx. dimensions: 17 x 4 x 2 cm.